This Salted White Chocolate Crunch is soooo fun to make. 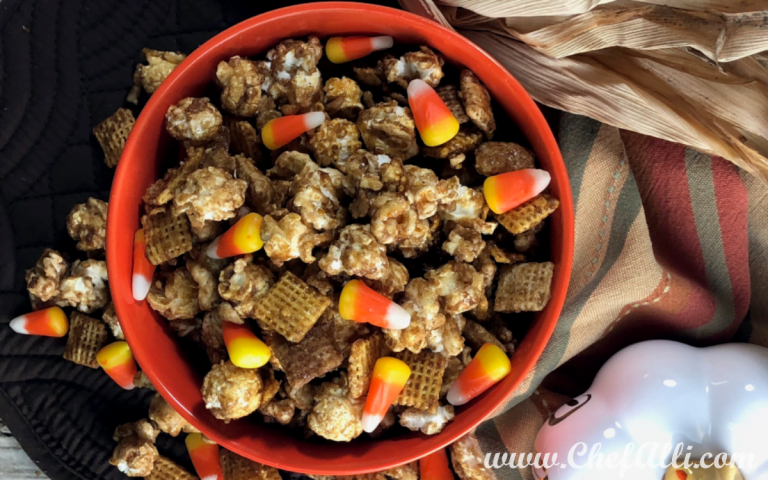 Be warned, though, as this snack mix is almost impossible to stop eating it once you begin – the salty/sweet combination is very addictive…..you just want to munch and munch and munch! To make the clean up really easy, I always cover my baking sheet with a big sheet of heavy-duty foil. Once you’ve baked the Salted White Chocolate Crunch, you can toss the foil and simply place your baking sheet back into the cupboard….no washing required. YAY! Once you remove the Crunch from the oven, spread it out to cool. This makes it easier to drizzle more evenly with the white chocolate too. If your chocolate is too thick to drizzle, just add a few drops of vegetable oil – this works like a charm to make your chocolate just the perfect consistency. Craving a little salty/sweet crunchy combo? This munch mix is super simple and crazy addictive..watch out! My family has a definite love/hate relationship with this Salted White Chocolate Crunch, and I'm betting yours will, too. Preheat the oven to 360 degrees F.
Place the cereals into a large mixing bowl, tossing to combine. Meanwhile, in a medium sauce pan, add the brown sugar, butter, and corn syrup; bring to a simmer and cook one minute. Stir in the baking soda and remove the sauce pan from the heat. Pour the warm brown sugar mixture over the cereal; toss evenly to coat. 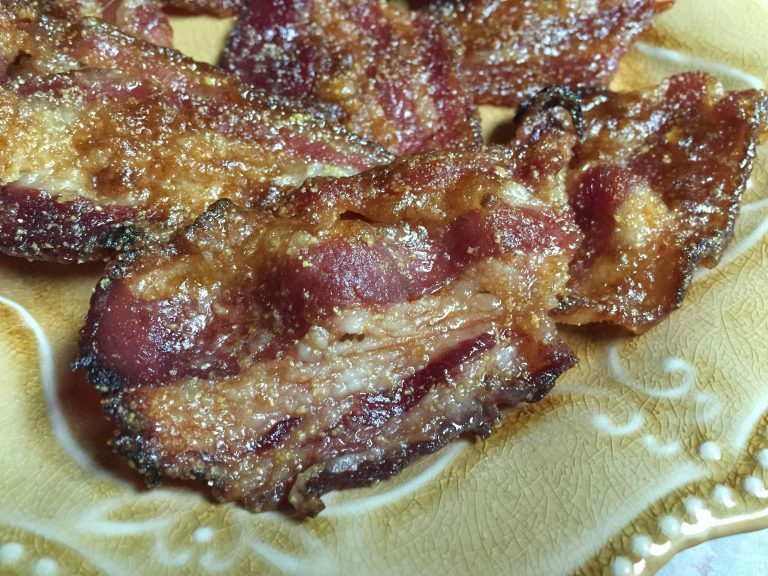 Place this mixture onto a rimmed baking sheet that has been covered with foil. Spray the foil with nonstick baking spray, then spread the warm cereal mixture over the foil. Bake, uncovered, on the center rack of the oven for 10 minutes. Remove the baking sheet from the oven and immediately sprinkle the salt over the warm cereal mixture. Cool the cereal mixture for 5 minutes on the baking sheet, then spread it out over a sheet of parchment paper or foil to fully finish cooling. Melt 1/2 cup of the white chocolate chips in the microwave, heating them in 20 second intervals, stirring after each one, until nicely melted and smooth. Drizzle the melted white chocolate over the cereal mixture, then immediately sprinkle the cereal mixture with the remaining 1/4 cup of white chocolate chips and the M & M’s. Cool mixture completely, then break into pieces and store in an airtight container. 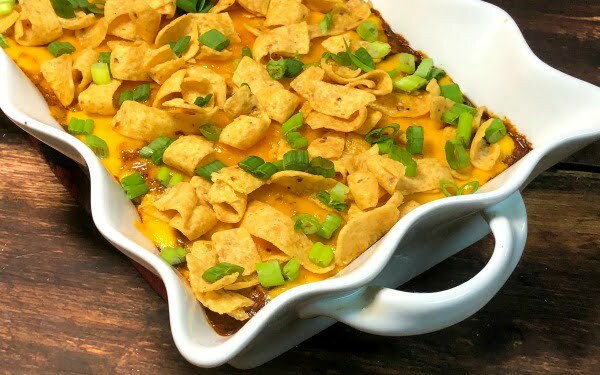 This recipe was shared on Southern Bite’s Meal Plan Monday and The Country Cook Weekend Potluck.